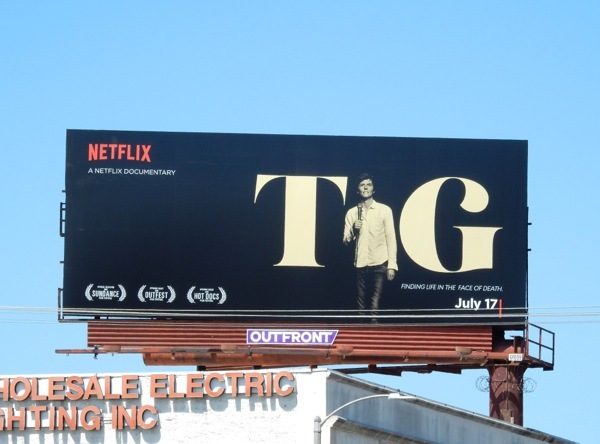 If you're feeling a bit sorry for yourself of late, then maybe you should watch a documentary like Netflix's Tig to make you reevaluate your outlook on life. 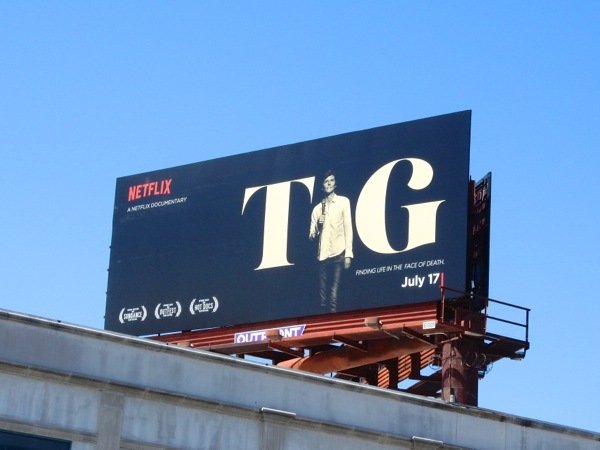 The documentary film explores the world of comedian Tig Notaro, who famously experienced a debilitating digestive illness, the death of her mother and breast cancer which led to a double mastectomy, but turned these personal tragedies into humour and kept on trucking. 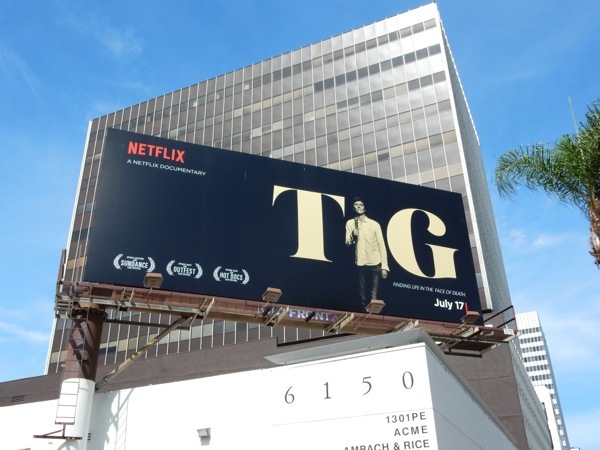 The streaming subscription service Netflix is fast becoming the accessible destination for documentaries, whether it be real-life stories, human rights or environmental issues, like E-Team and Mission Blue. 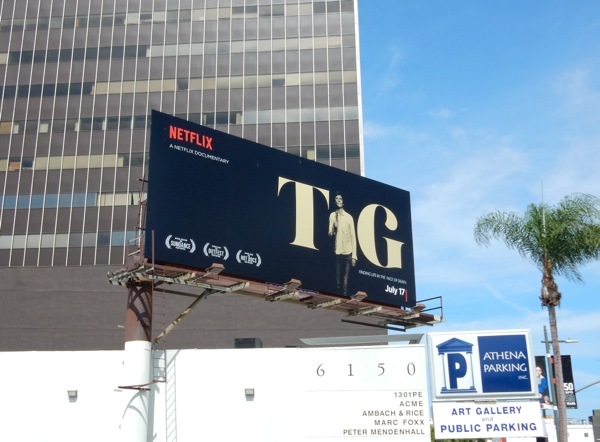 These simple, but arresting Tig billboards were snapped above Beverly Boulevard and along Wilshire Boulevard on July 10, 2015. 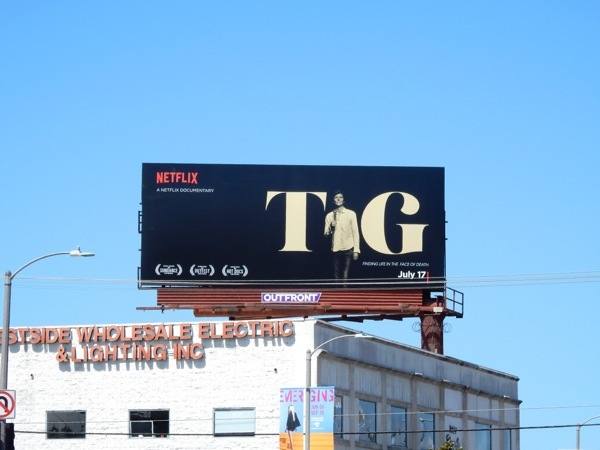 If you like this design style, be sure to also check out these other ad creatives which have also used humans in the title treatment, including this Whitney Lifetime movie billboard, this John Wick movie billboard and this Gravity movie billboard example. Keeping laughing people, because life's too short not to, and it is Friday after all.